Excessive drinking among baby-boomers could pose health risks further down the line, experts have warned. Many people in England aged between 45 and 64 ,and over 65, regularly drink at hazardous levels, research from the Office for National Statistics (ONS) has suggested. It was also discovered that married and cohabiting couples are likelier to drink on five or more days a week, in comparison to single people. Elsewhere, the statistics showed that men and women aged between 45 and 64 are likelier to binge drink than all other age groups. Other key findings from the report have revealed that people in managerial and professional jobs have a higher likelihood of drinking on five days or more each week. Older people heading on foreign holidays can benefit from specialist seniors travel insurance. This can cover things such as medical costs and lost baggage. However, problems caused by excessive drinking may not be covered by some travel insurance policies, so it's important to take care abroad. The new findings from the ONS have raised concerns among many health experts. For instance, Dr Tony Rao, co-chairman of the older people's substance misuse working group at the Royal College of Psychiatrists, said the data highlights that excessive drinking is not a problem specifically affecting younger people. He said: " It's very concerning that while the rest of the population, including younger people, reduces its alcohol intake, baby-boomers are drinking at a similar rate as before - and exceeding recommended guidelines. "People expect to live longer, so they aren't slowing down just because they're in their 60s." The expert also said that alcohol misuse among older people isn't a problem that will simply disappear. 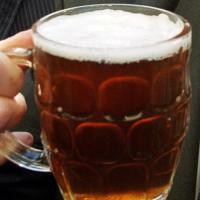 He said the new data should act as a "wake-up call to everyone to take stock of their drinking behaviour".